Instructor User Guide PodcastsHow do I add a podcast? This displays the Add Podcast dialog box. 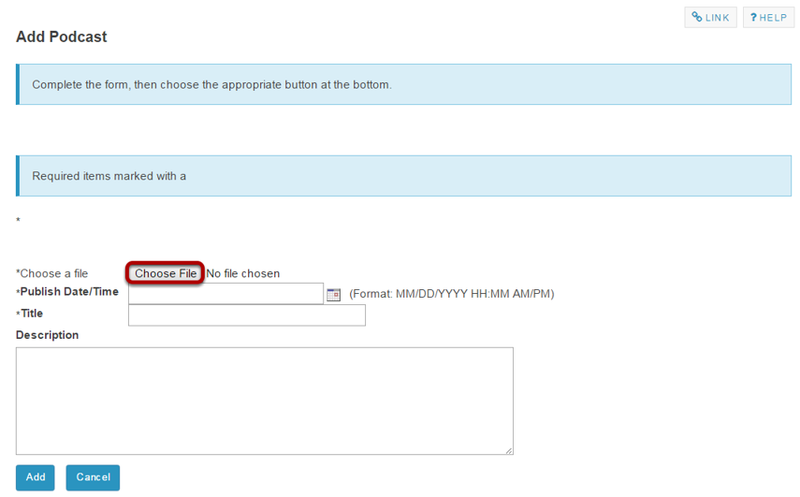 Click the Browse button to locate and select the audio (.mp3) or video (.mp4) or PowerPoint (.ppt) file for upload. 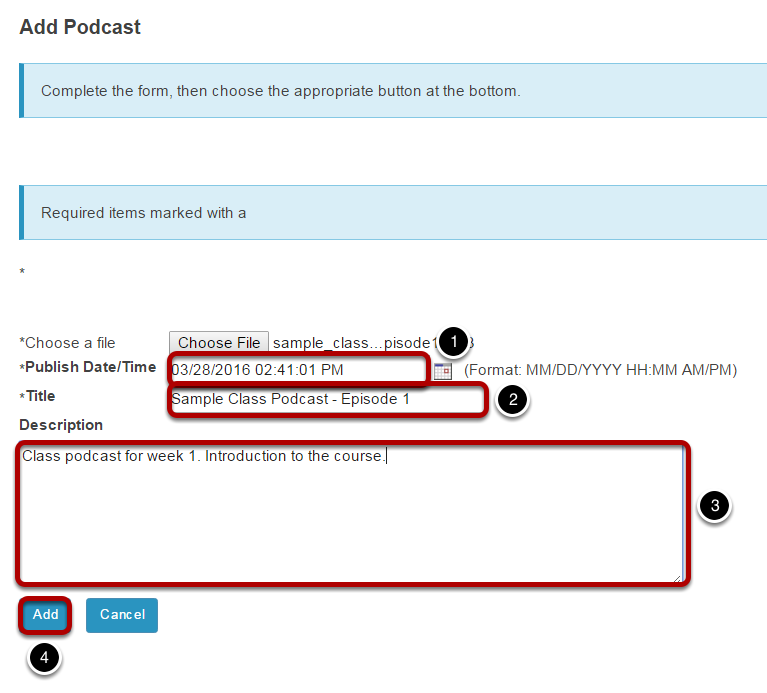 After saving, you will return to the Podcasts page with the new Podcast item listed. Notice the Podcast folder location. Zoom: Notice the Podcast folder location. 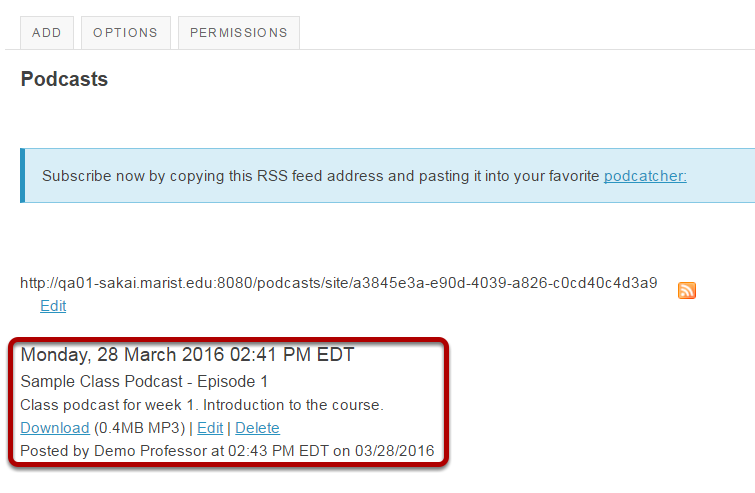 When the Podcast tool is added to the site, a "Public" Podcast folder is created in Resources automatically. The Podcast folder created in the site Resources and all of the files uploaded are "Public" to allow users to subscribe and access the files through a podcatcher application. Prev: What is the Podcasts tool? Next: How do I subscribe to a podcast?